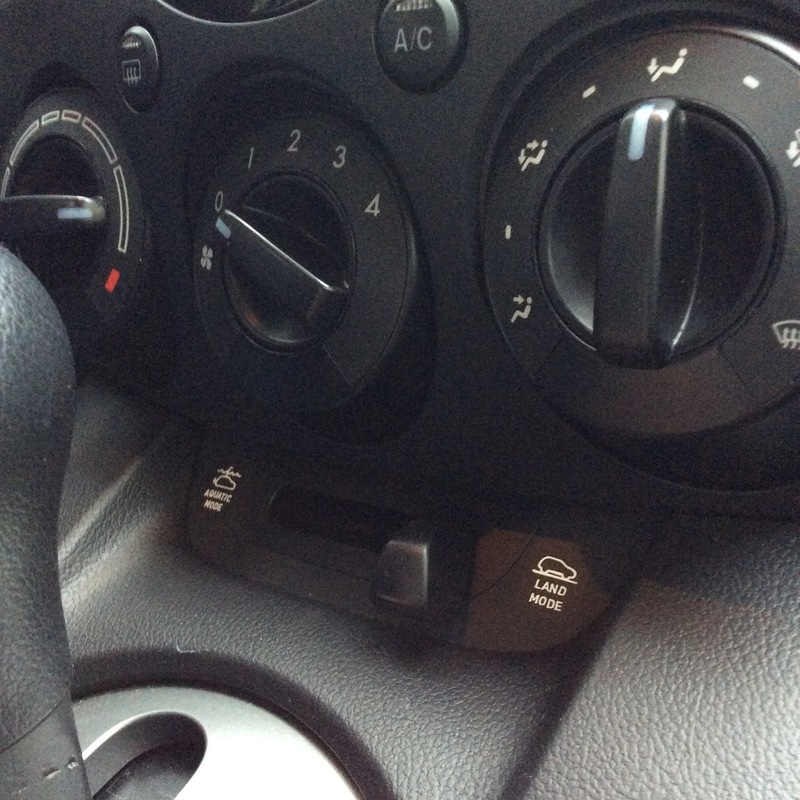 I've seen a few pictures floating around the internet of fun stickers made for the unused buttons on your car. The concept is so simple and brilliant! I had to make a few. The underlying tutorial for this project is how to vinyl cut a small layered sticker. 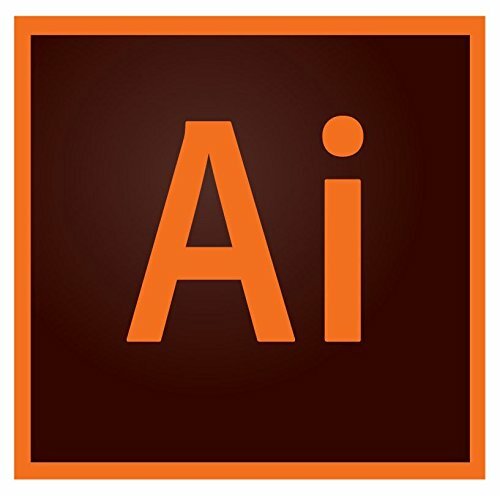 Vector software: I use Adobe Illustrator, but that can be pricey it you don't use it professionally. There are some good alternatives out there, like inkscape (free), Adobe Draw (free mobile app), or Sketch (Mac, $100). Vinyl Cutter: You can go buy one if you want, but chances are, if you attend, or work anywhere related to a college, you have access to one. If you supply the vinyl, most places will be happy to cut your small sticker piece. 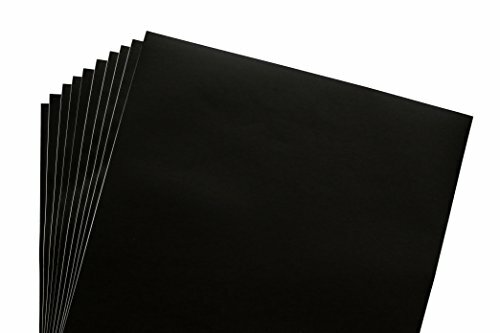 Vinyl: Small sheets can come in packs and many colors. You can spend anywhere from $5-$30. Transfer paper: Essentially, a large sheet of tape. 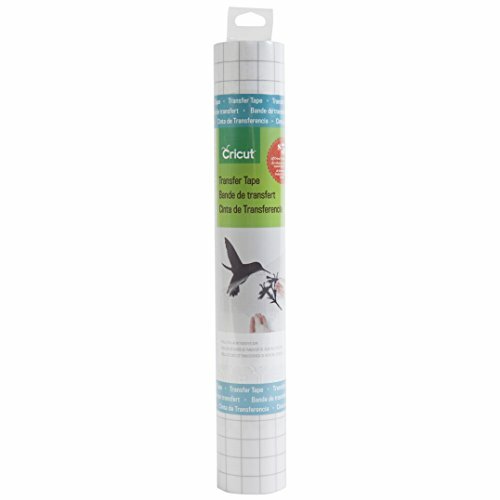 The good kind has a durable translucent material, minor adhesive, and sometimes a grid to aid in alignment. If you never intend to vinyl cut again, just use a wide piece of masking tape. Copious amounts of patience: this is an a-typical vinyl cutting project because of it's size. I cut 3 of each design to get 1 good one. Letters will pop off in the process, just eyeball it and stick it back on. It won't be machine perfect, but that's how you know it's homemade! Keep in mind that the outline of your design is the path that the vinyl cutter's knife will take. So, when designing your icon, make sure there are no overlapping edges. Next, Identify the parts of the design that are especially small and detailed. Use a "weed box" around those areas. (pictured to the right) This extra cut path allows you to *weed the large areas of the background without worrying about messing up the scary intricate lettering detail. *Weeding is the process, after the design is cut, of removing the negative space from the vinyl sheet. The outer edges and the inside of the O's and A's. Lastly, you'll want to include registration marks. These are sacrificial shapes placed above the sticker that you cut with each layer in the same place. They will help you align the design and the backplate when you layer them together. To double check: If your vector file is life size, has a solid outlined design (including outlined text), separated cut paths for each color, weed boxes in place, and registration marks, then you're ready to cut! 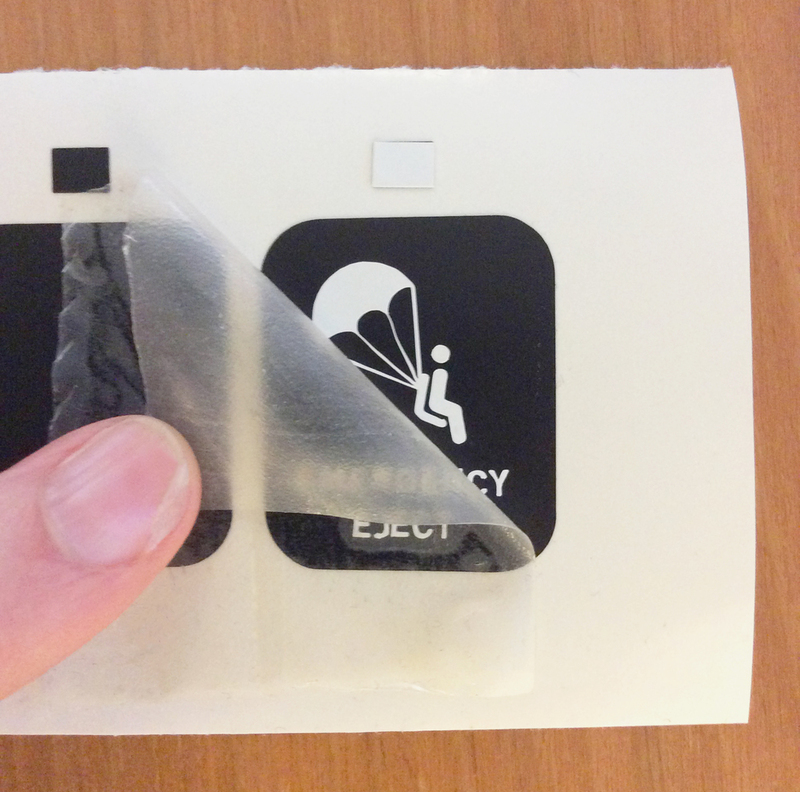 Send your files through the vinyl cutter, and cut the vinyl down to a workable size. If you downloaded my vector file, you'll see that there are 4 copies of each design ready to cut. 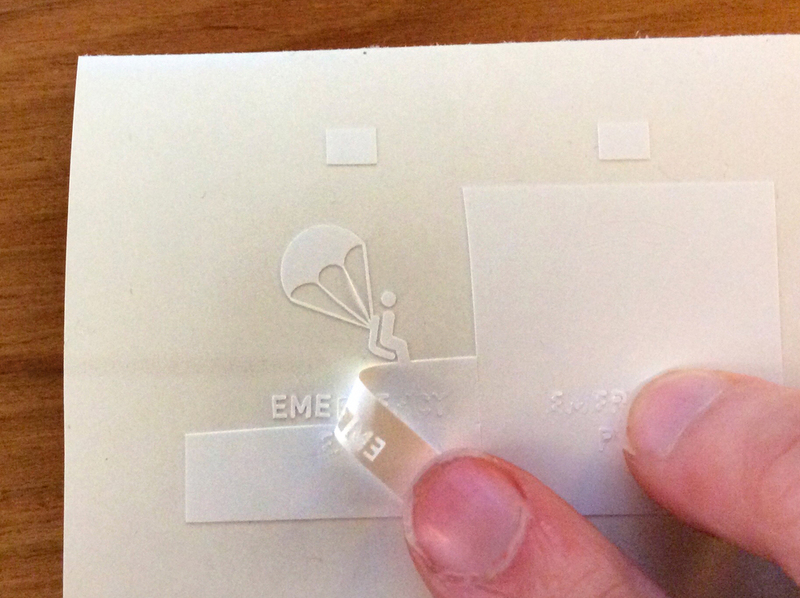 With a design this small, the vinyl cutter will inevitably mess up a few. With 4 cut, you can pick the best one and work from there. First, weed the large areas. Start working on the weed boxes one at a time. This is where it will get frustrating. Letters will start to pop off or rotate, but It's not ruined! If that happens, grab a harsh light, and maybe a magnifying glass. The vinyl cutter is calibrated to cut through just the surface layer of the vinyl sheet, but it does leave an indent in the lower waxy layer. Looking closely, you can see where the moved pieces should be. Once the weeding is done, pick up the design and registration mark with transfer tape. Fresh transfer tape is often a little too sticky. I usually stick it to my shirt a few times to dull the adhesive before using it on the vinyl. Go stick it on your car! and wait for an astute friend to find it.